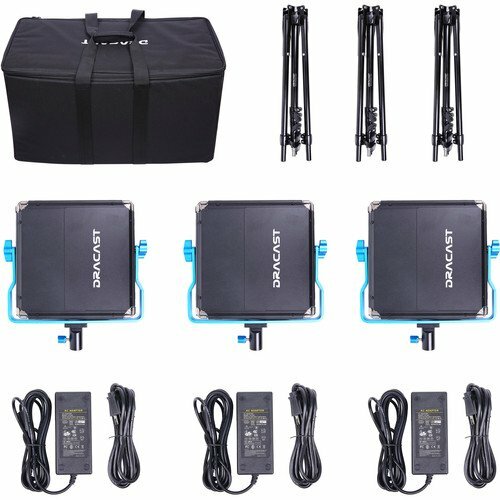 This LED500 S-Series Bi-Color 3-Light Kit with V-Mount Battery Plates from Dracast offers image makers a capable 3-point light solution that can be used in the studio or on the road. 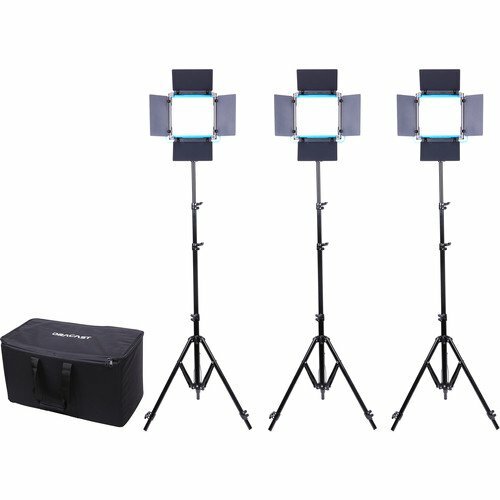 The kit features three S-Series Bi-Color LED500 panels equipped with V-mount battery plates, each coming with a diffuser, a power adapter, and an individual soft case for each light. Complementing the panels are three 7.2′ stands for support and a padded soft kit case that can safely transport all the included gear. Featuring a slimmer and lighter design at just 2.0 lb, the LED500 Silver Series Bi-Color LED Light from Dracast is an ideal choice for location work, interviews, and small sets where color accuracy, control, and flicker-free output are of major importance. Variable color temperature from 3200K-5600K or anywhere in between means that you can quickly match the prevailing ambient or artificial light balance with a simple twist of a knob while others are still applying filters. Dimming is equally convenient via another knob that adjusts the light intensity from 100-0% with negligible color shift. The low electrical draw of just 30W means a timely return on your investment. The durable anodized aluminum frame is supported by an oversized, U-shaped yoke with locking knobs on each side and a standard 5/8″ receiver. The LED500 can be used worldwide, powered by the included 100-240 VAC adapter in the studio, or by V-Mount batteries in the field. Four-way barndoors for contouring and control of the LED500’s 45-degree beam angle are included. 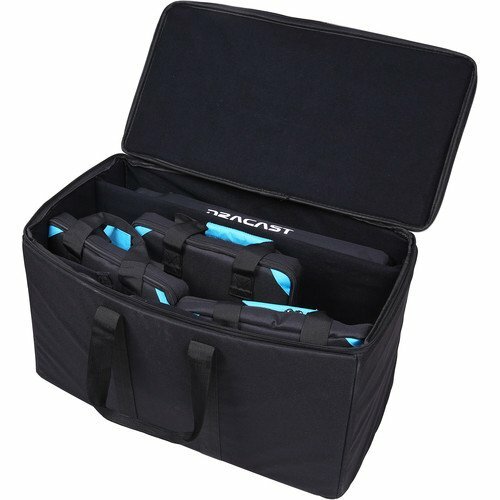 For protection during transport and storage, a carry case is included. Box Dimensions (LxWxH) 13.5 x 13.4 x 4.1"
Box Dimensions (LxWxH): 20.2 x 4.6 x 4.3"